Arrive in Colombo. Proceed to Negambo approx. 40 Kms/ 1 Hr. 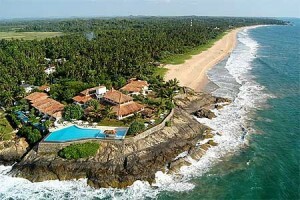 Negombo is the well known fishing Village in Sri Lanka. , It is a charming city set midst the green groves of coconut palms, the warmth of the sand and spirit of the sea brings out the uniqueness of our beautiful island. You will be able to taste the best of sea food to your heart’s desire. Apart from beaches and sea-food Negombo has a unique charm of its own with narrow streets, small boutiques and Catholic Churches dotting the landscape. Overnight at Hotel. Morning after breakfast proceed to Kandy after Hotel Check inn. Lying amidst the hills, Kandy is the last capital of the ancient kings of Sri Lanka. While being the second largest city in Sri Lanka it is also famous for its immense beauty and is named as one of the seven UNESCO declared World Heritage sites in the country. With its luxuriant prairie, picturesque lake, Longest River of the country and misty mountains, Kandy successfully mesmerizes every visitor unsurprisingly. Heavily jeweled with a rich and colorful history is witnessed through the numerous shrines and temples as well as frescoes, ancient paintings and stone carvings. After your journey you will drop to hotel.Kandy Full City Tour (with Entrance) (Should be sold with full package)( Pinnawala orphanage, Cultural show, Temple of the tooth): City Tour: Enroute to kandy , you can visit one of the most important tourist attractions in Sri Lanka, the Pinnawela Elephant Orphanage. Volunteers and caretakers provide shelter and take care of orphaned, abandoned and injured elephants within the park. You can watch caretakers feed, bathe and help these gentle giants. You want walk with the herd to the nearby river to watch the elephants bathe and play around in water.. Start your journey from one of the world heritages as well as a sacred place for the Buddhists all over the world; namely the Temple of tooth Relic known to the Sri Lankans as Dalada Maligawa. The real evidence of the richness will be affirmed by your visit to the Gem Museum. Sri Lanka produces the finest quality of gems in the world. Semi-precious gems, the sapphires of Sri Lanka, which are very exclusive and comes in shades of blue, red, green, white etc. After your journey you will drop to Hotel safely. Morning after breakfast Proceed to Nuwara Eliya, Nuwara Eliya (City of Lights), blessed with salubrious climate, breathtaking views of valleys, meadows, mountains and greenery; Surrounded by hills and tea plantations, the town of Nuwara Eliya enjoys spring-like weather throughout the year. It is also known as “‘Little England” which was the favorite hill station of the British who tried to create Nuwara Eliya into a typical English Village. The old brick Post office, country house like hill club with its hunting pictures, trophies and strict formal dinner attire; the 18 hole golf course, horse race course, etc., all remind you of ‘England”.Nuwara eliya full City Tour (with Entrance) (Should be sold with full package –Victoria park): City tour: During the city tour in Nuwara Eliya you will visit the main attractions of the town which include visit a working tea factory where the slow-growing tea bushes of this highland region produce some of the world’s finest Orange Pekoe tea. You can also add Seetha Eliya. Seetha Eliya is a temple which was mentioned in the famous epic Ramayana. Morning after breakfast Proceed toColombo is the largest city and commercial capital of Sri Lanka. Located on the west coast, it is a busy and vibrant city with a mixture of modern life and colonial buildings and ruins. Colombo has wildly varying architecture that span centuries and depict various styles. Many colonial buildings influenced by the Portuguese, Dutch and British exist alongside structures built in Buddhist, Hindu, Islamic, Indian and Contemporary architectural styles. No other place is this more evident in the heart of the city the Fort area. Colombo also boasts many shopping malls and department stores that offer brand name clothing at highly discounted prices. Therefore, it has become an important shopping destination among tourist. Colombo full City Tour (with Entrance) (Should be sold with full package – National Museum, Gangarama Temple): City Tour: While on your city tour in Colombo you may visit famous places including Galle Face Green, the Viharamahadevi Park, National Museum, Twin World Trade Center towers, Old Parliament Building, Fort district, Independence Hall at Independence Square, and prominent Buddhist, Hindu, Islam and Christian places of worship. (Entrance fees to sites not included). For shopping, you may visit Odel, House of Fashion, Beverly Street, Majestic City, Noritake, etc. Morning after breakfast check out from hotel. & Leave for airport to Board the flight for your hometown. Journey ends with Happy Memories.